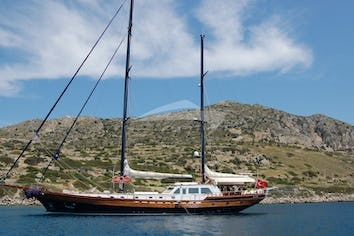 Gulet Rosa is a classic 24 m steel ketch with an elegant and everlasting design, built in 2008. 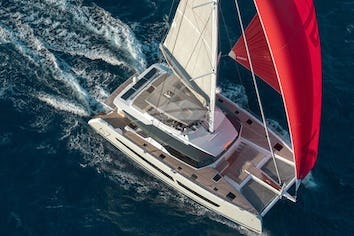 The 7.65 m beam has allowed the builders to create a functional and spacious leisure cruising vessel with an interior comparable in size to most 30 m sailing yachts. Rosa's luxury interiors done in cherry wood finish with lacquered ceilings and solid oak floors are offering exquisite ambient during sailing vacation, unique opportunity to enjoy Montenegro and Croatia on this gorgeous yacht. Rosa's enormous 48 m2 aft deck has plenty of room for relaxing, alfresco dining and parties, while the foredeck will be a favorite spot for sunbathing. 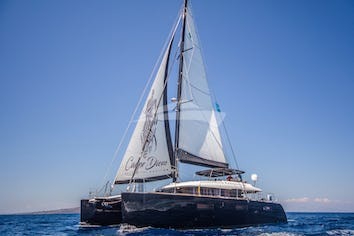 Inside, gulet Rosa has a vast 35 m2 salon separated into two areas; the dining area to port, whit it's walk around dining table for 12 persons and a leisure area to starboard with luxurious ivory white color upholstered sofas and coffee table. Rosa's large fully equipped galley topped with natural marble counters is on the lower deck. From the salon, stairs lead down to the aft corridor with two double guest cabins and a full-beam 15 m2 Master Stateroom at stern. It features king-sized island bed with storage drawers beneath and surrounded by well-crafted joinery that affords ample space for closets and cabinets. All the cabins have their own en-suite bathrooms with marble counters and ceramic sinks. Forward from the salon there are further two triple guest cabins with en-suites. Two masts carry a total sail area of 284 m2 which is divided into 3 sails.